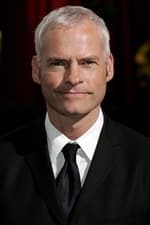 Martin McDonagh (born 26 March 1970) is an Irish playwright, filmmaker, and screenwriter. Although he has lived in London his entire life, he is considered one of the most important living Irish playwrights. McDonagh prefers writing films to plays, claiming to hold a "respect for the whole history of films and a slight disrespect for theater." In a conversation with Irish drama critic Fintan O'Toole in BOMB Magazine, McDonagh said, "It's not that I don't respect theater. I'm intelligent enough to know that a play can completely inspire a person as much as a film...[but] theater isn't something that's connected to me, from a personal point of view, I can't appreciate what I'm doing." McDonagh won an Oscar for Best Original Screenplay for his first film, In Bruges. His second film, Seven Psychopaths, will be released in September 2012. Description above from the Wikipedia article Martin McDonagh, licensed under CC-BY-SA, full list of contributors on Wikipedia.